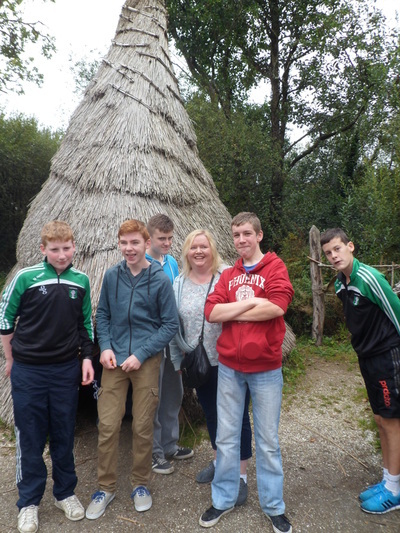 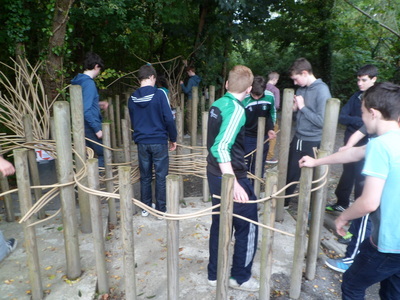 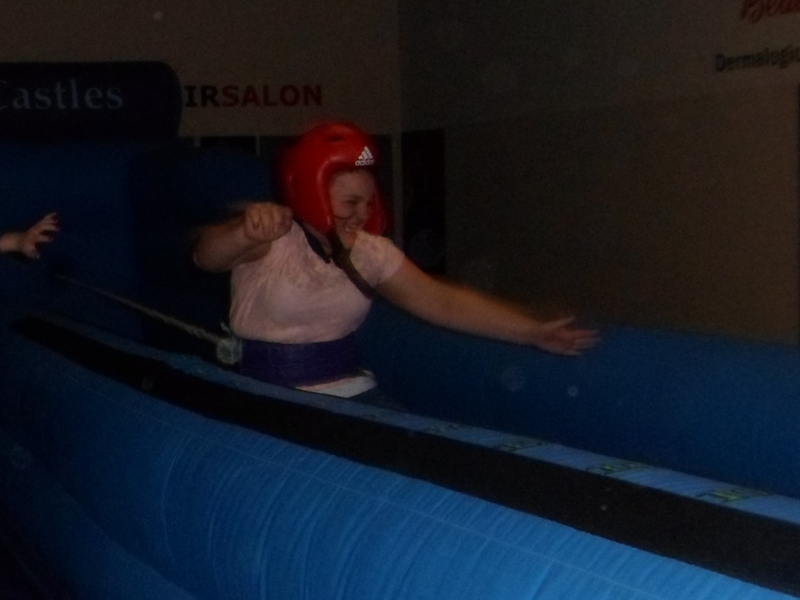 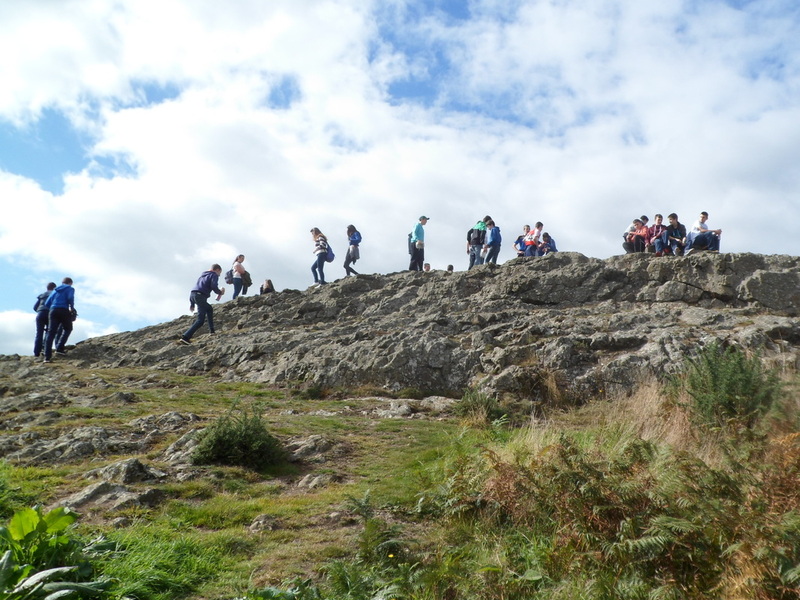 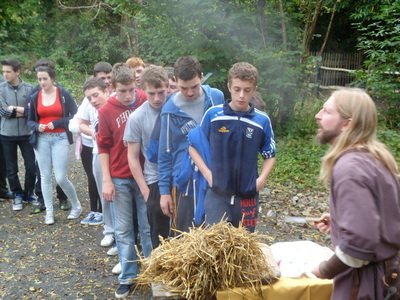 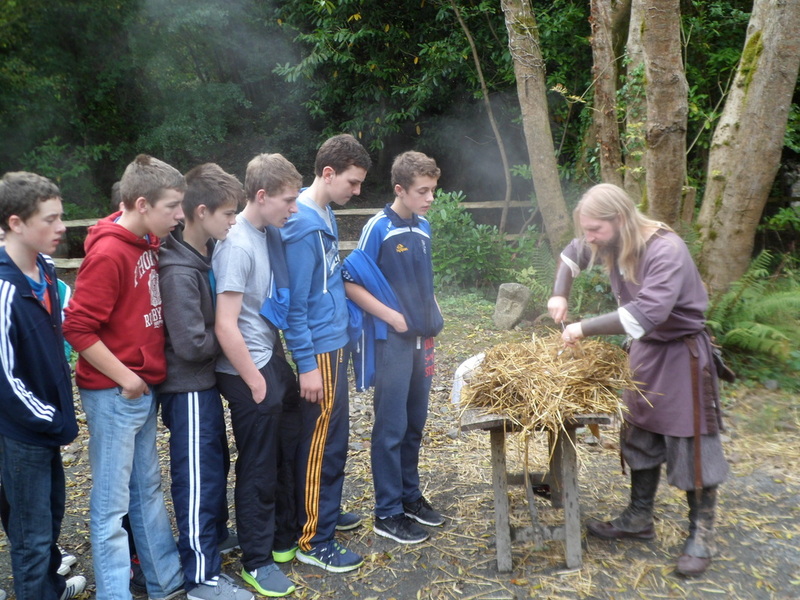 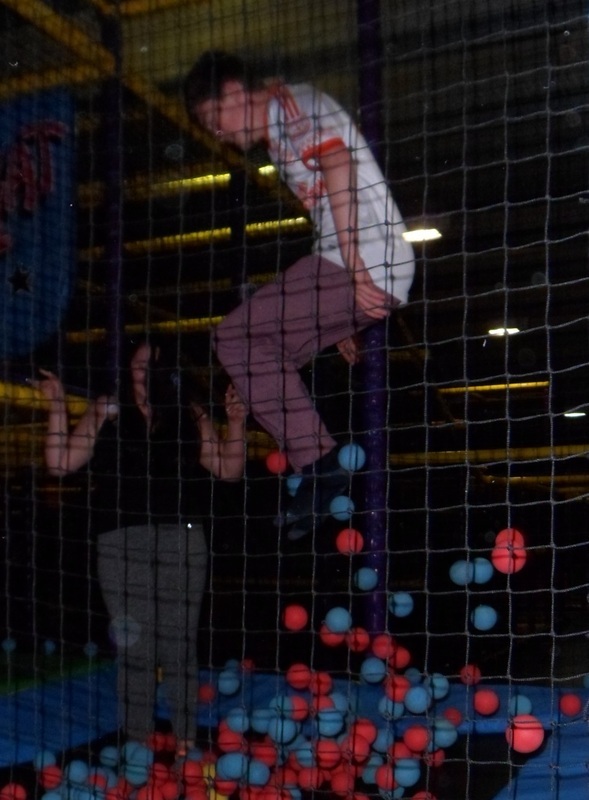 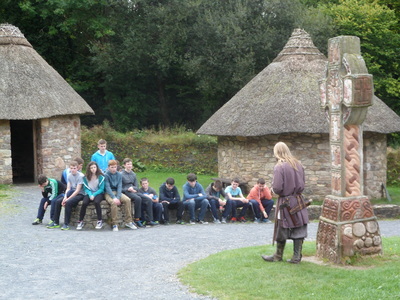 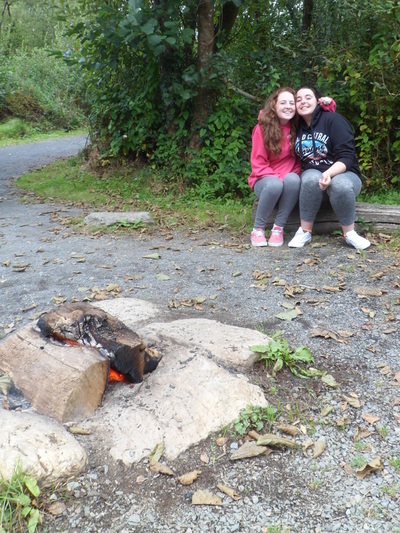 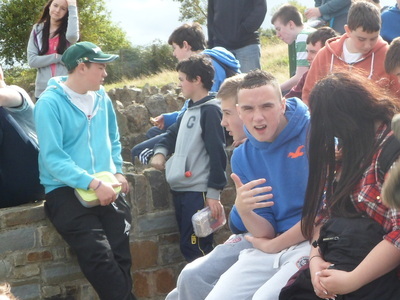 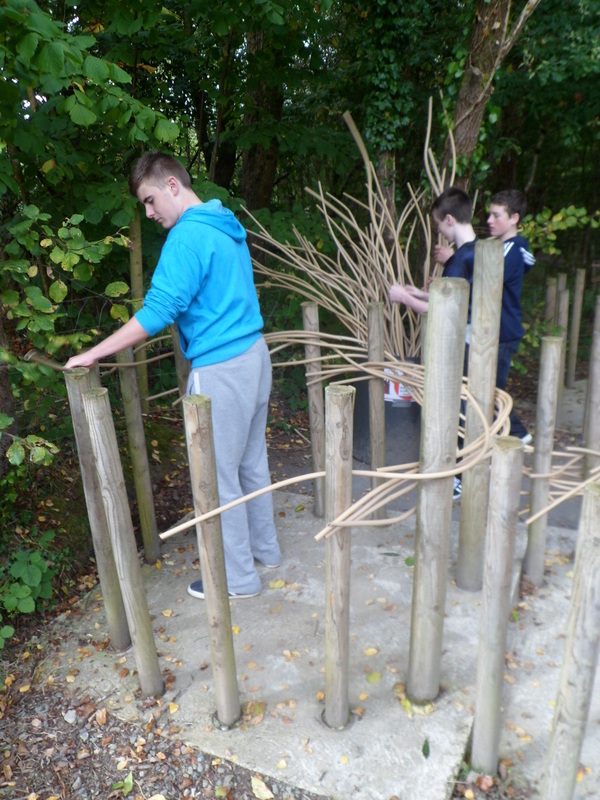 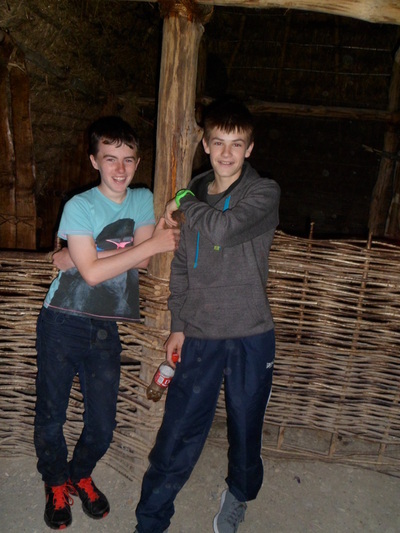 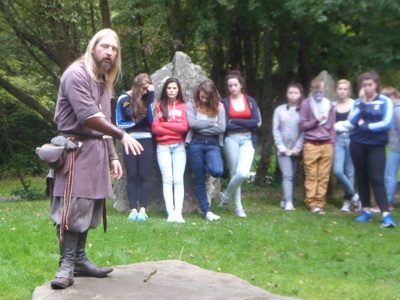 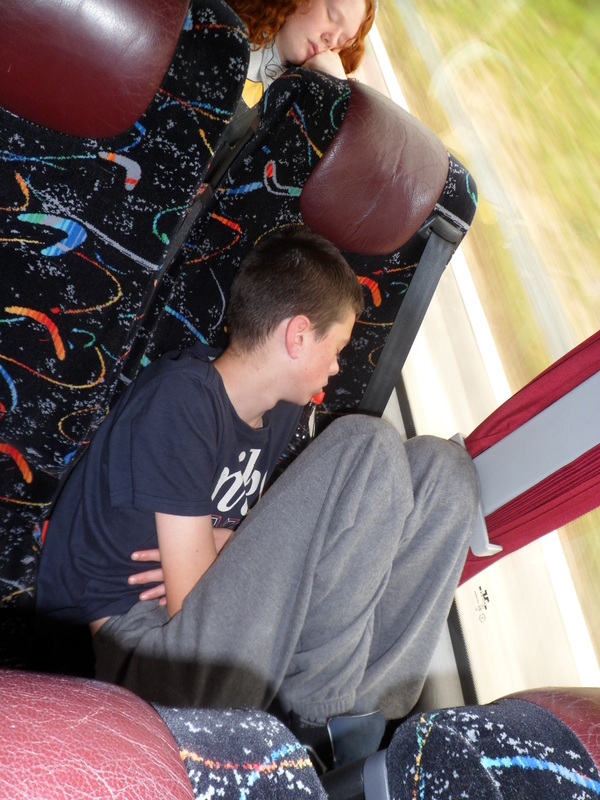 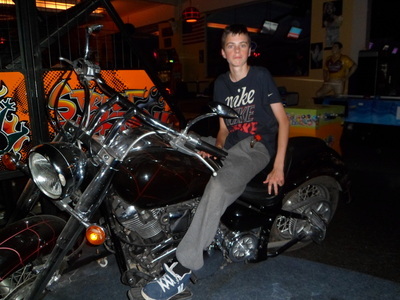 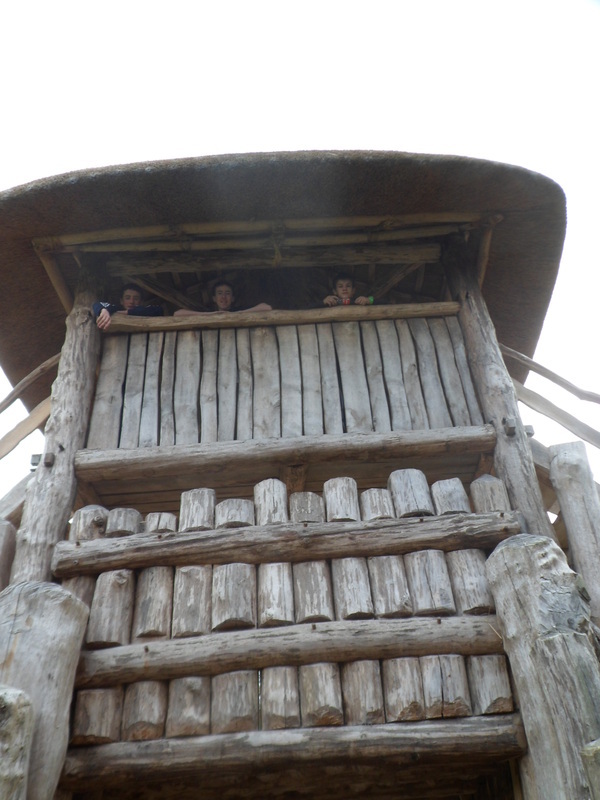 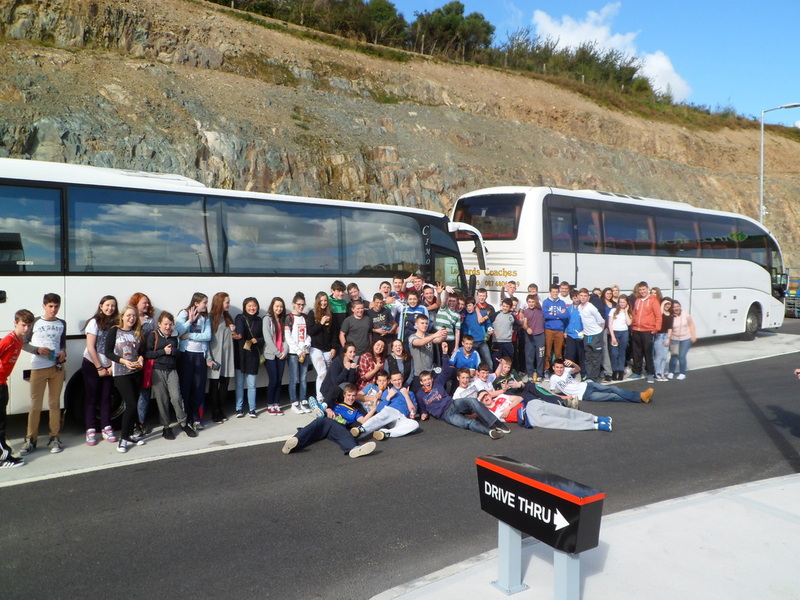 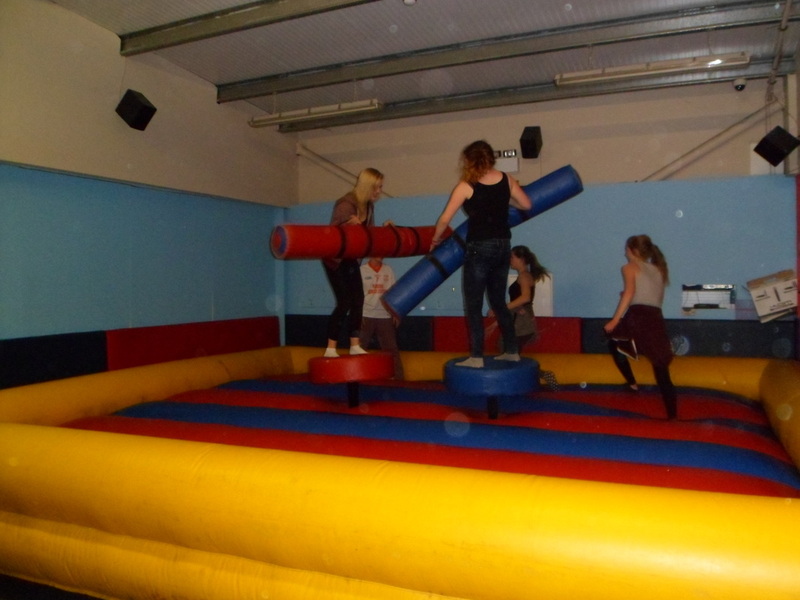 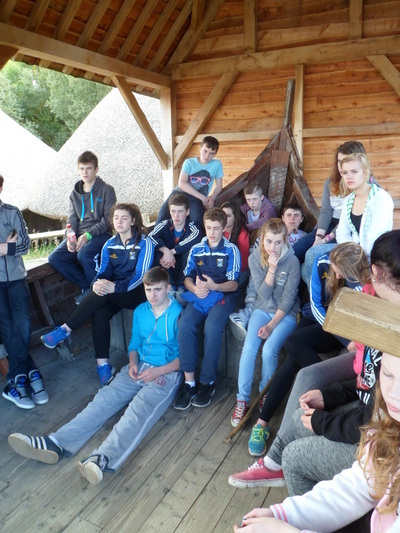 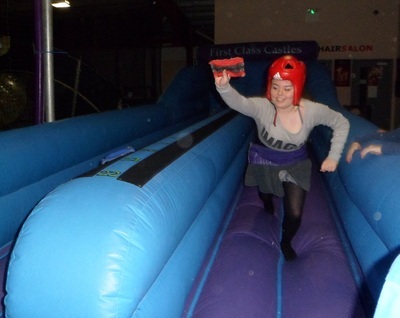 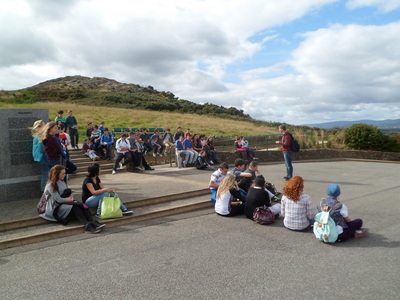 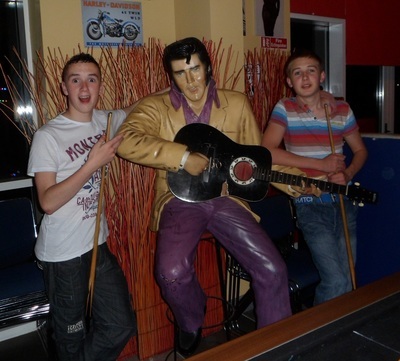 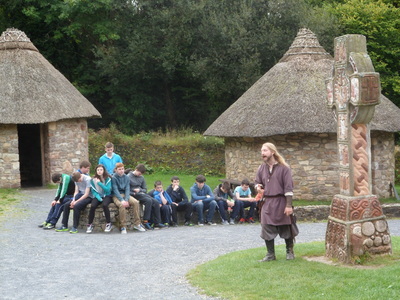 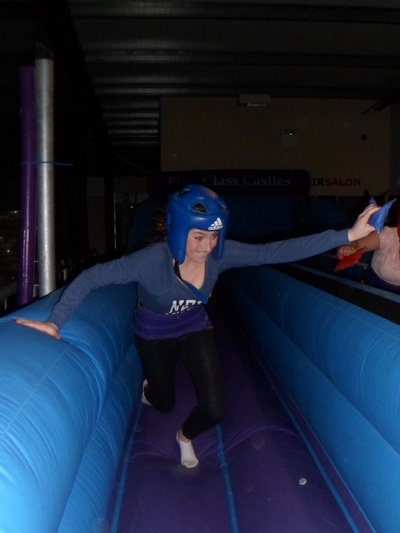 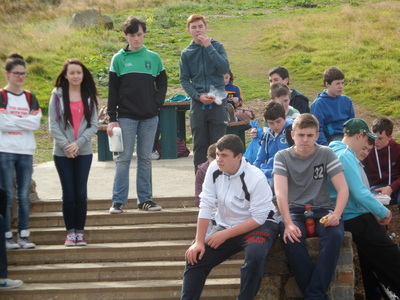 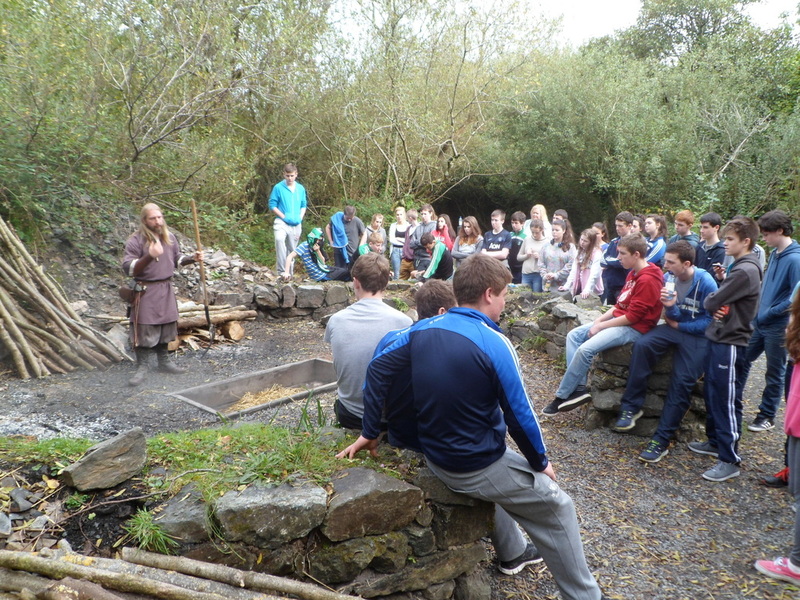 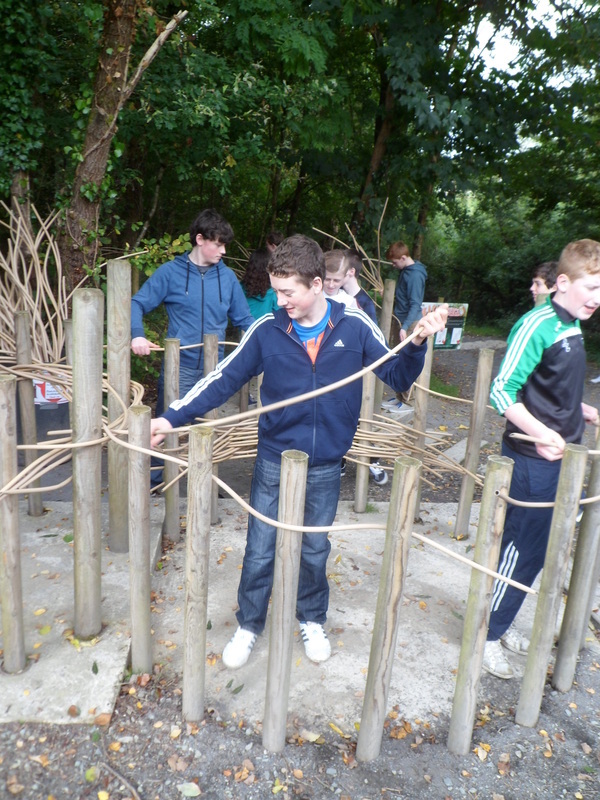 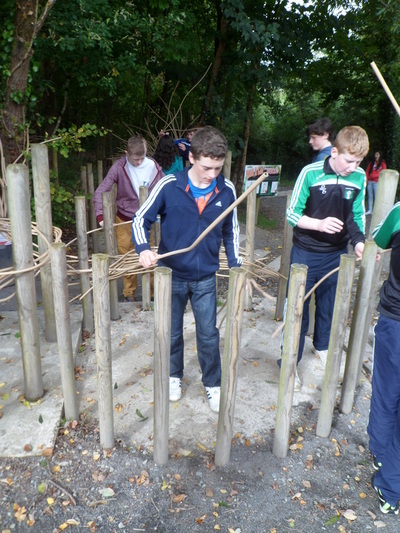 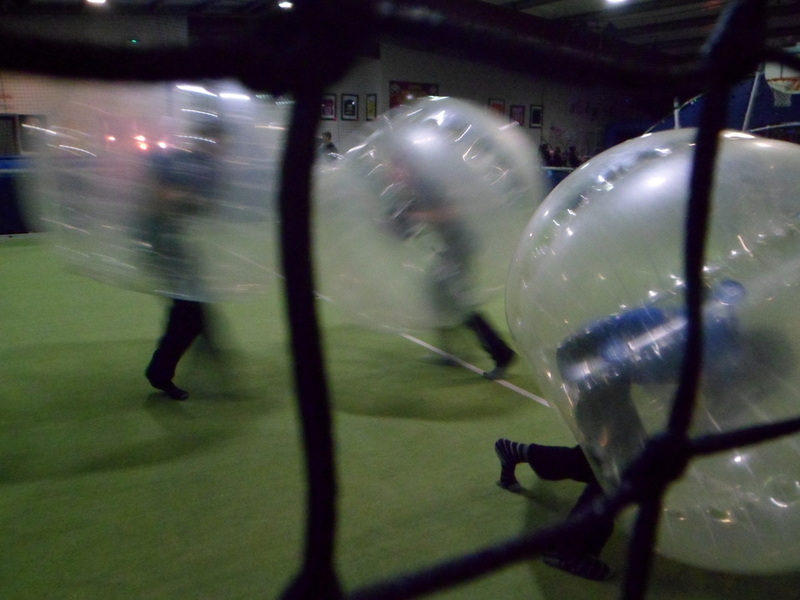 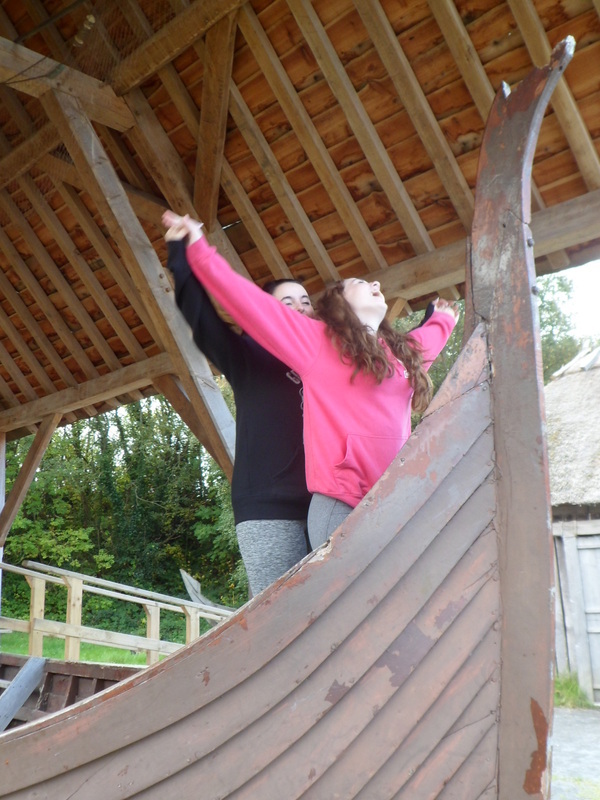 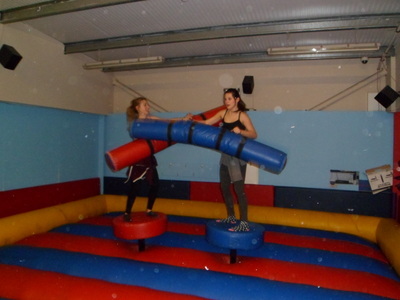 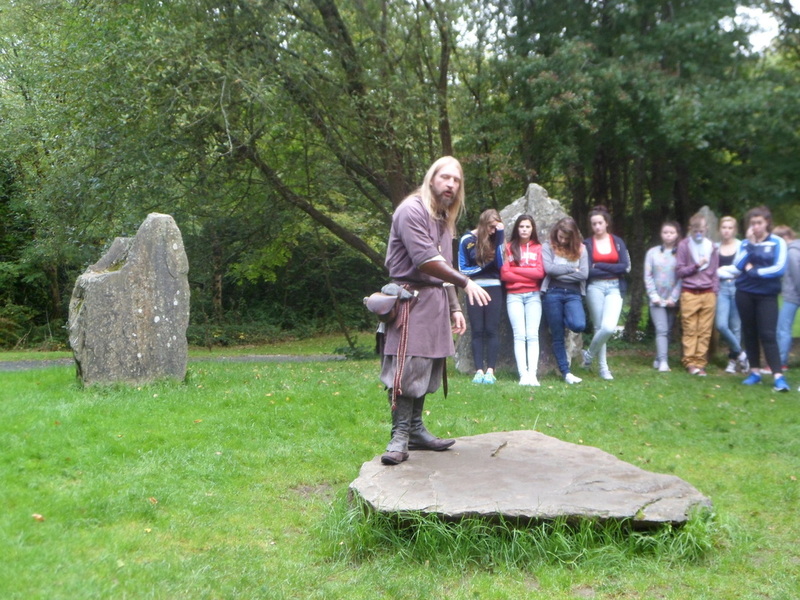 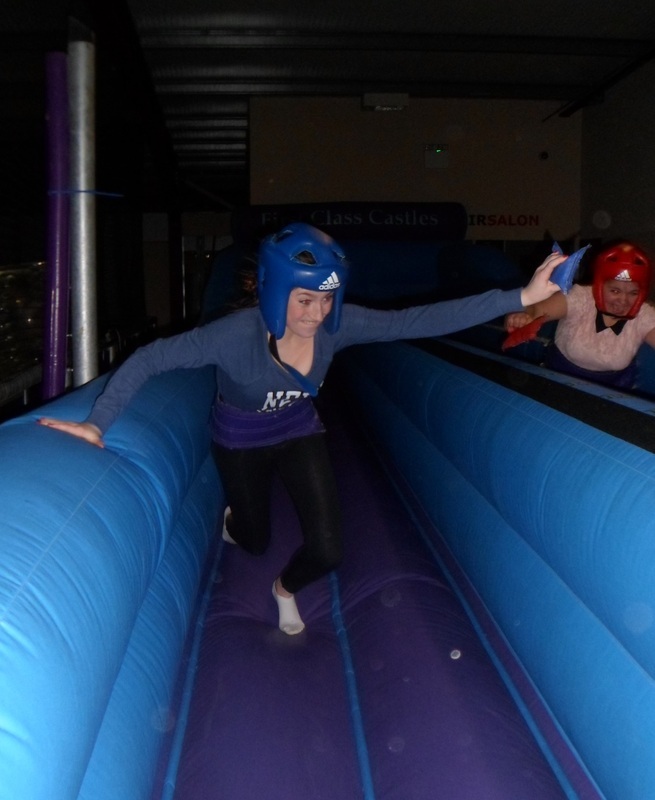 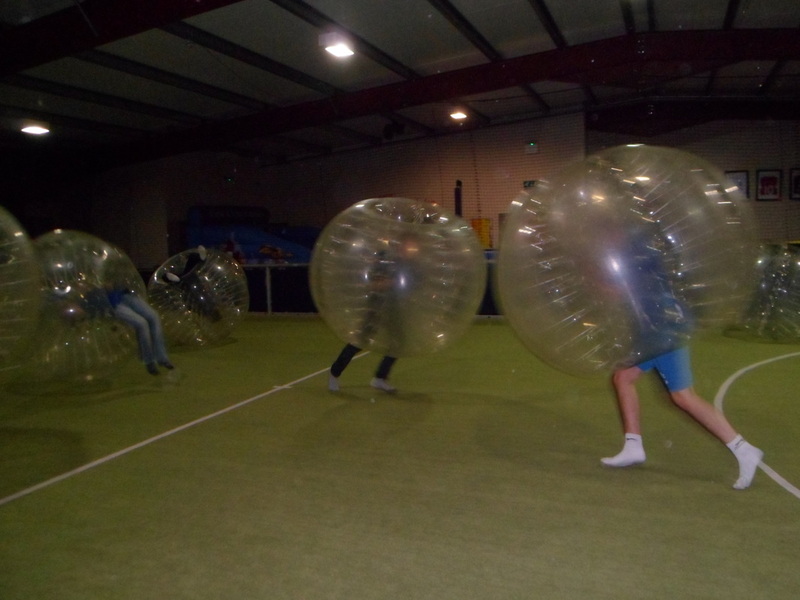 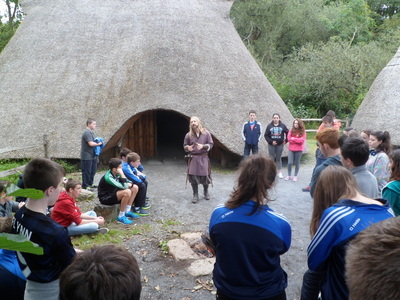 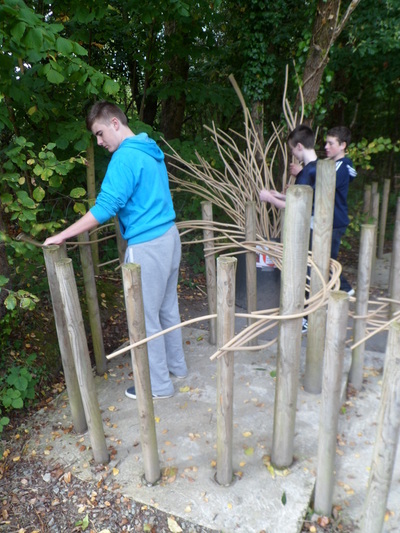 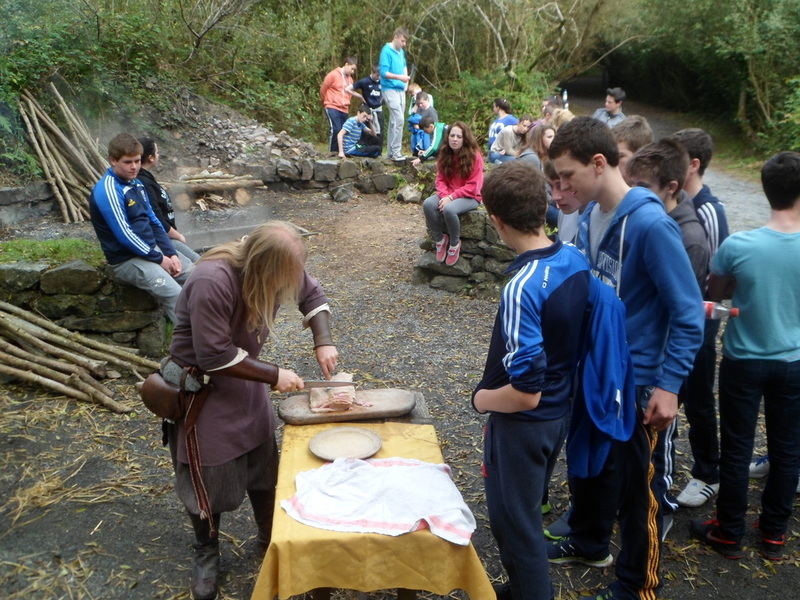 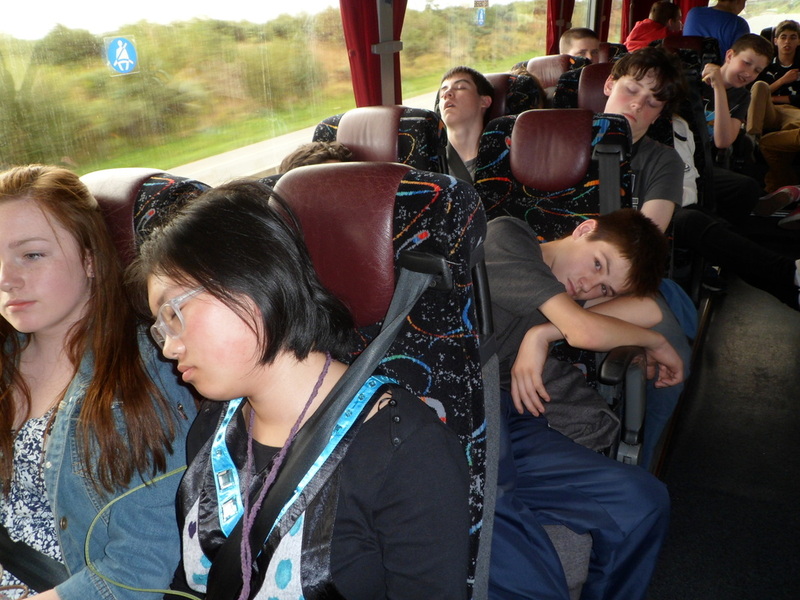 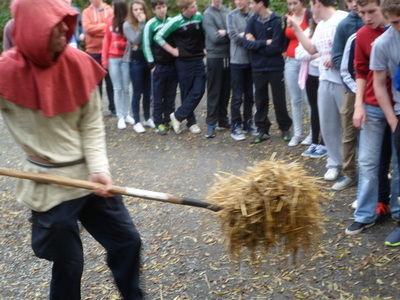 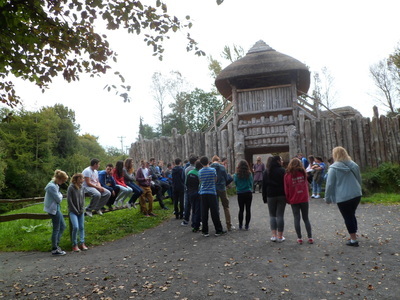 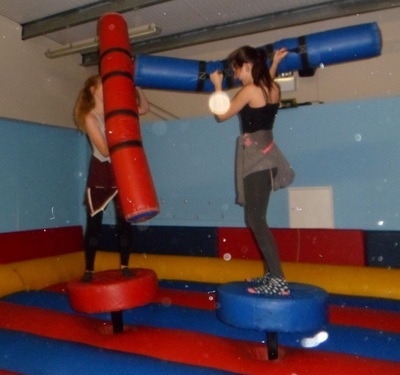 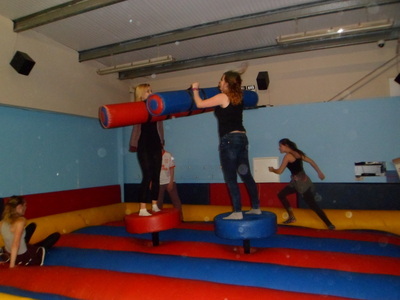 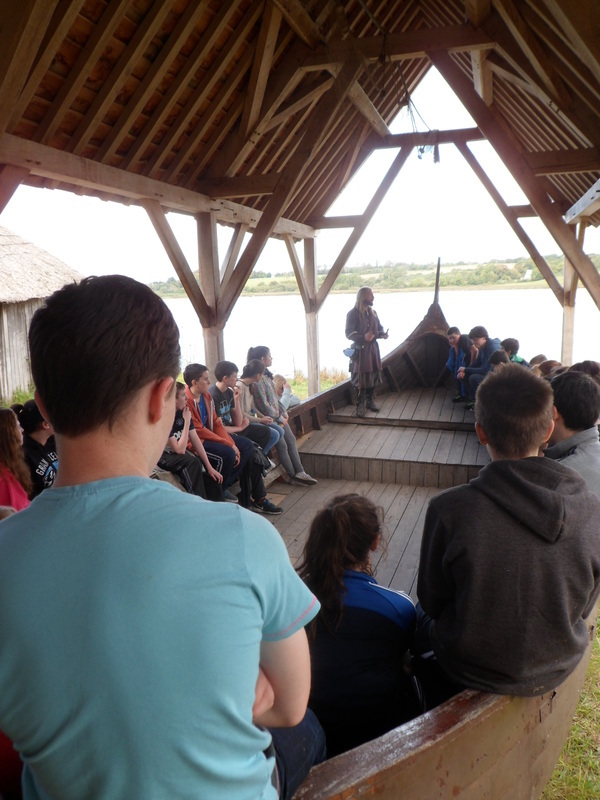 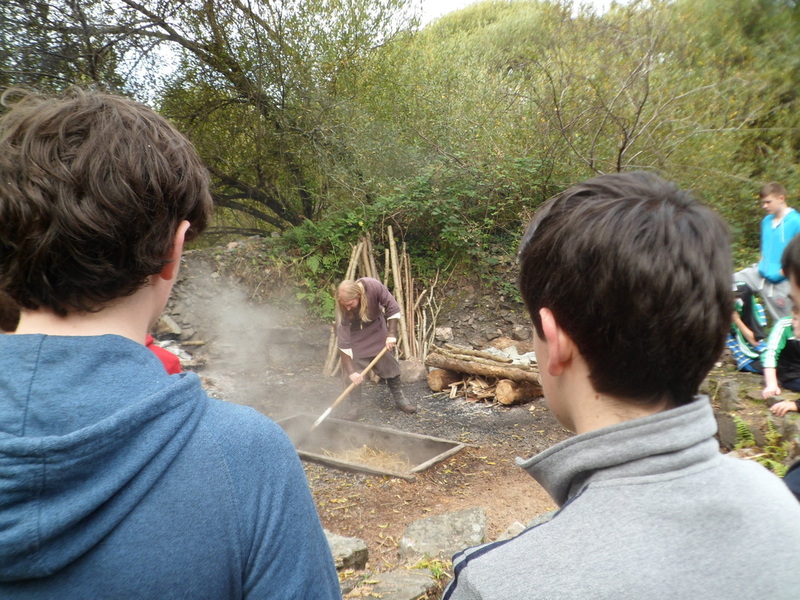 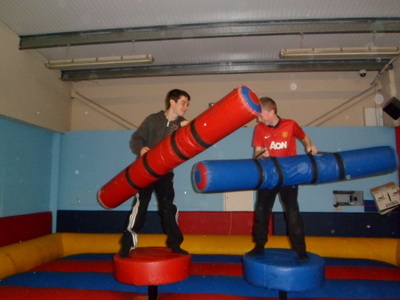 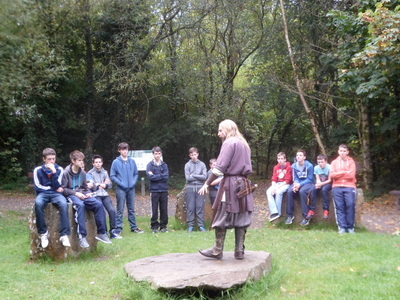 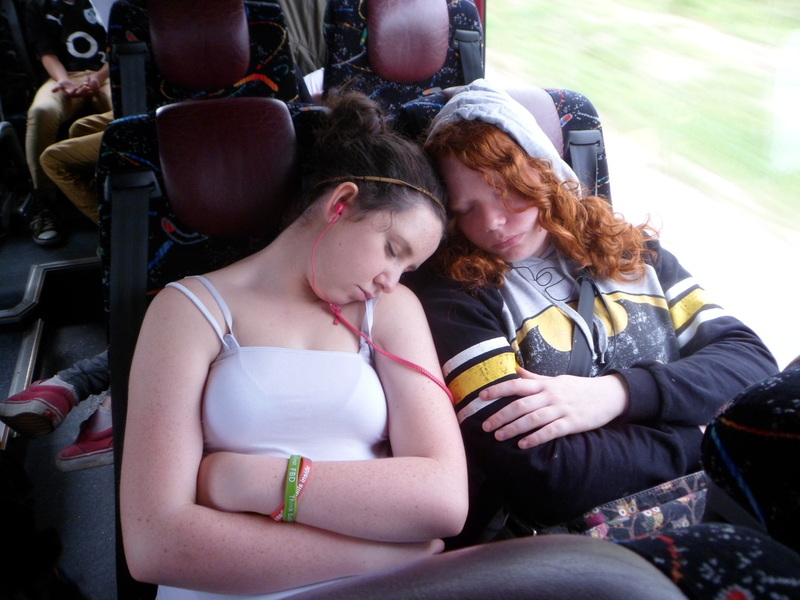 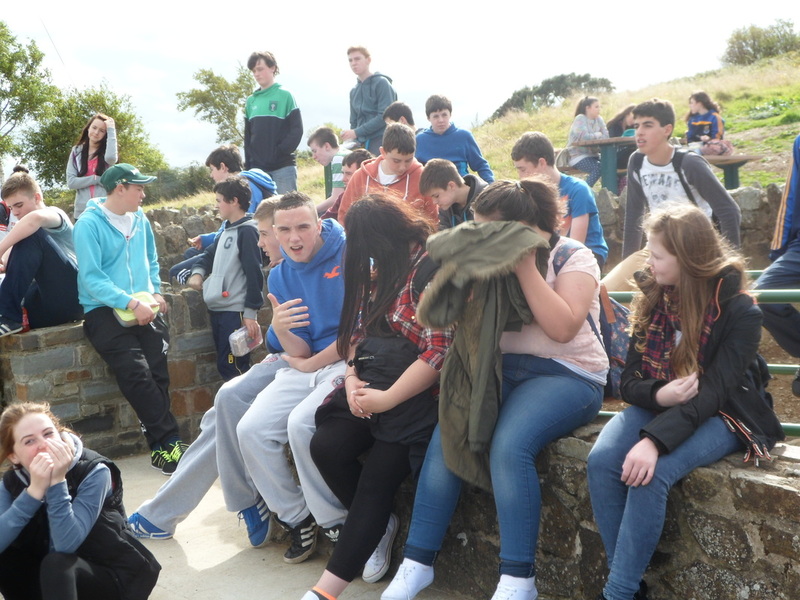 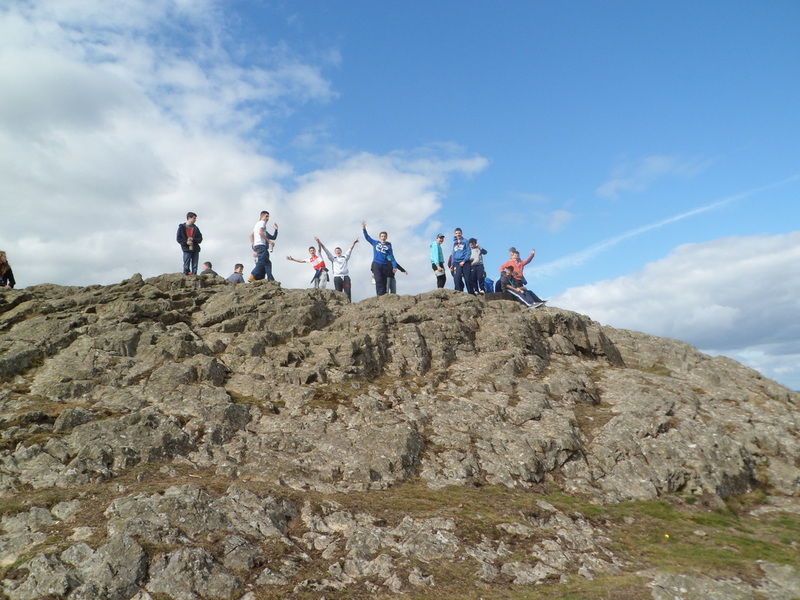 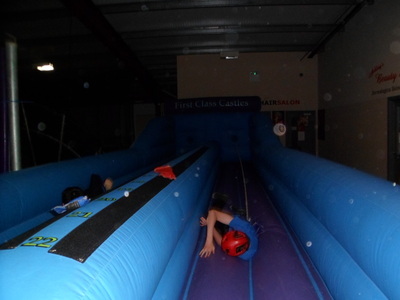 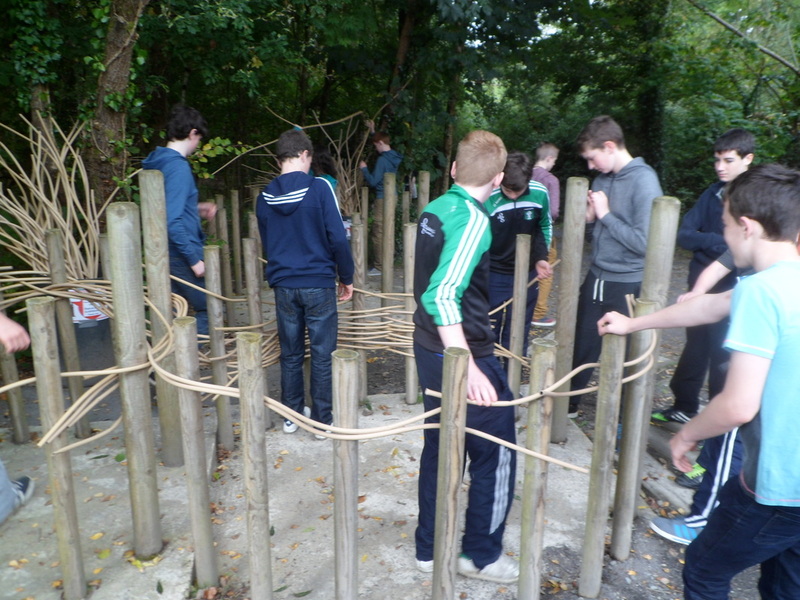 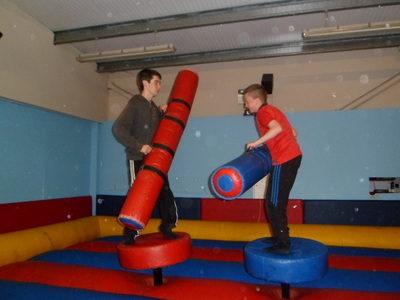 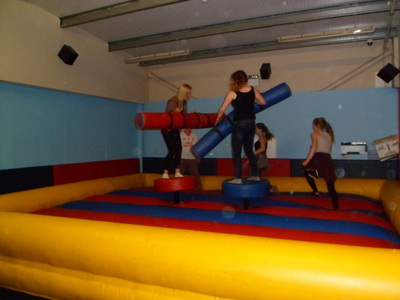 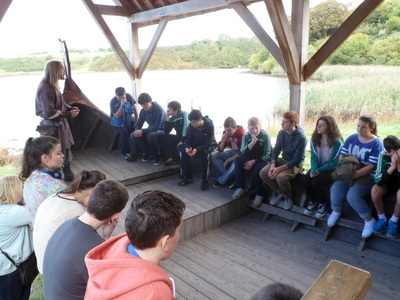 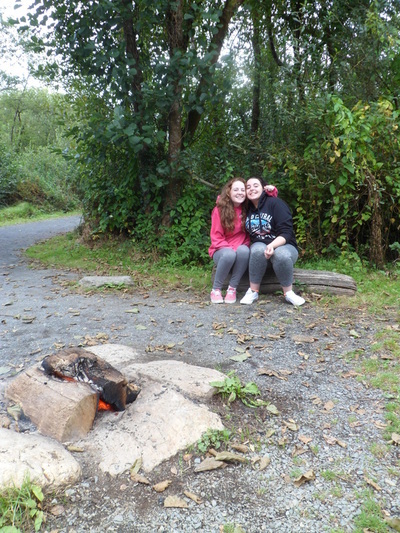 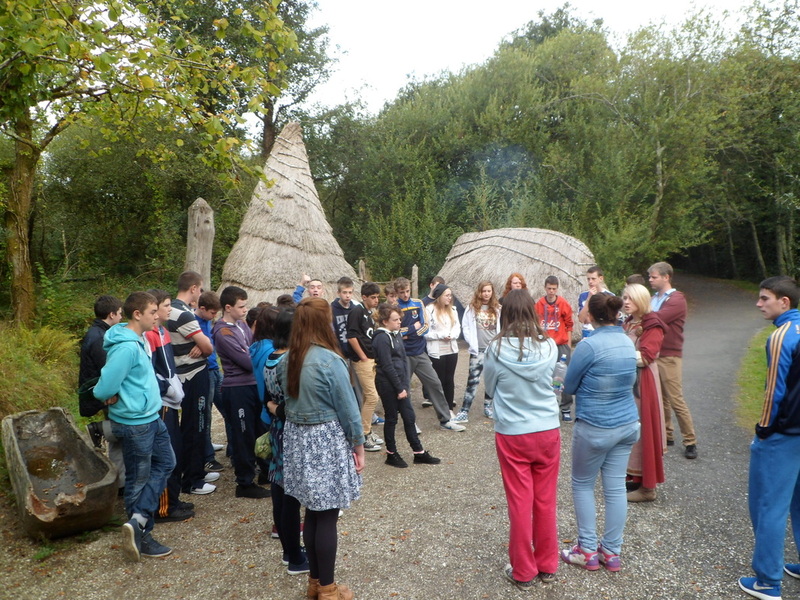 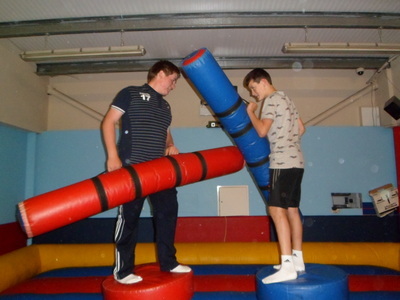 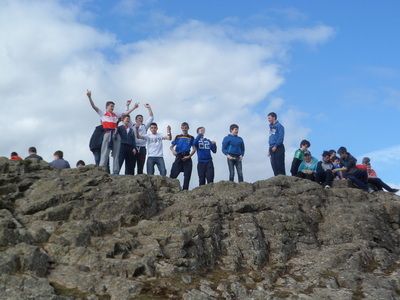 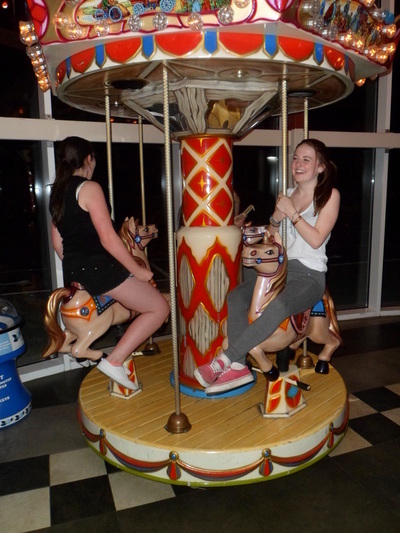 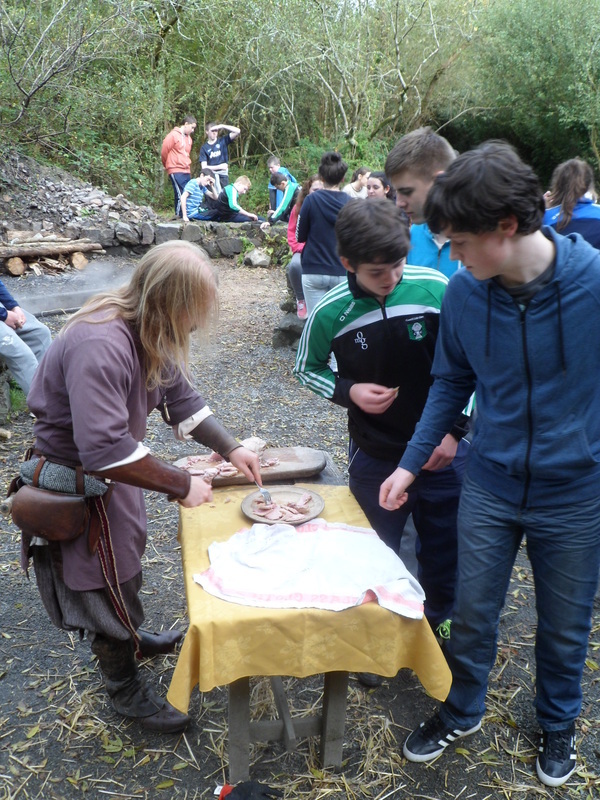 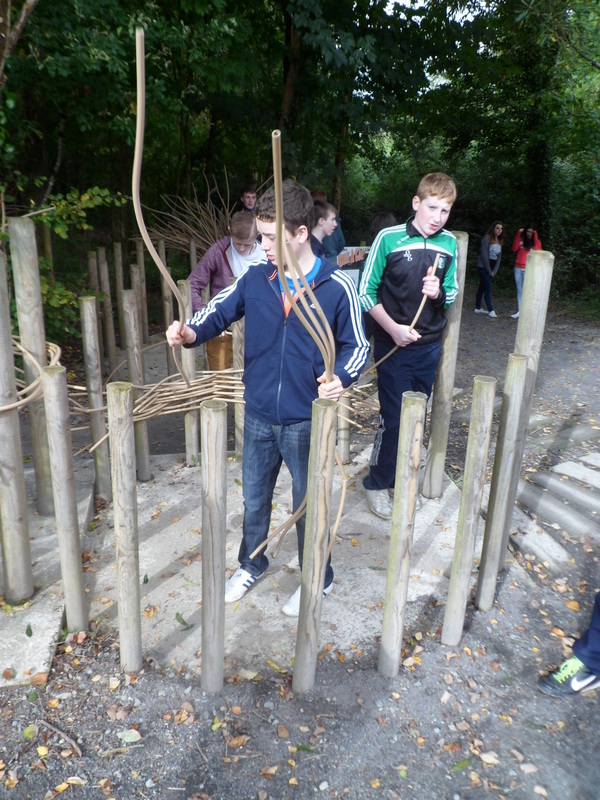 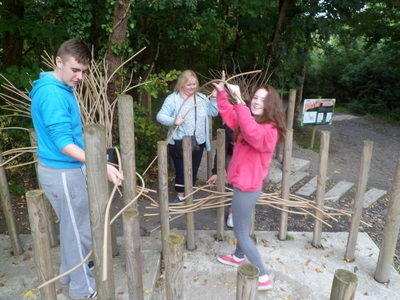 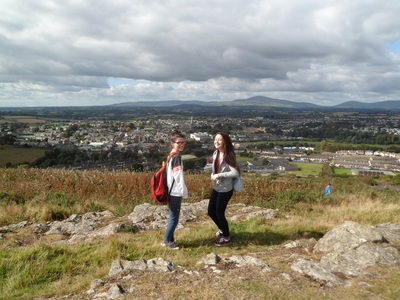 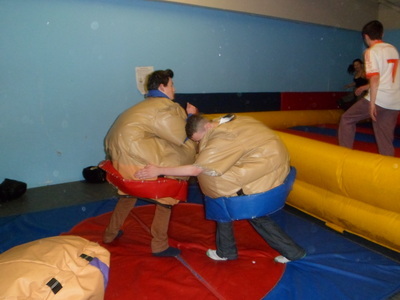 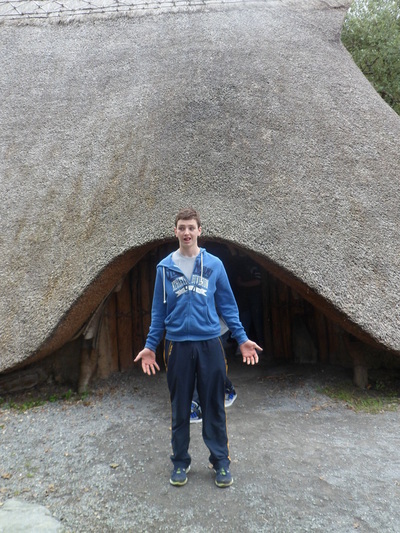 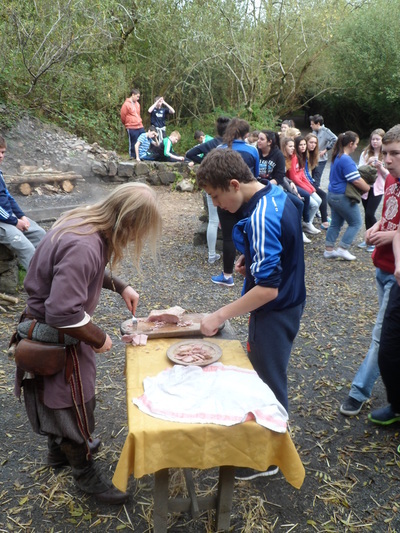 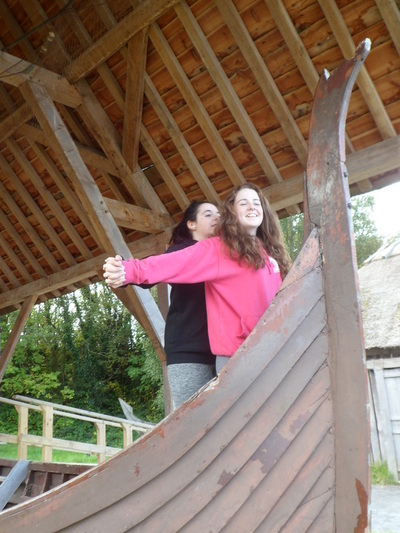 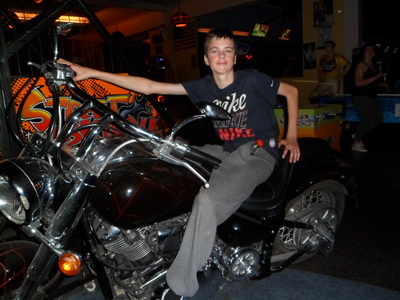 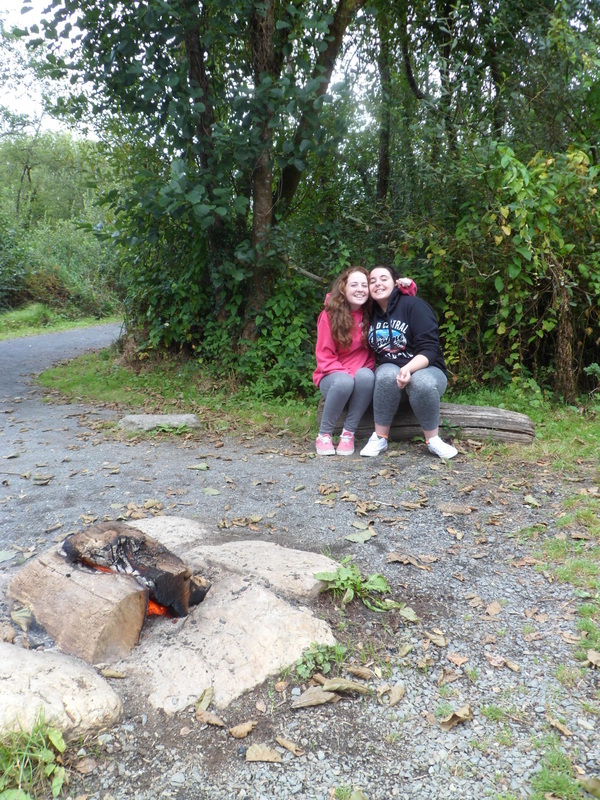 On Wednesday andThursday, September 24/25, 3rd year students were taken on a historic adventure to Wexford. 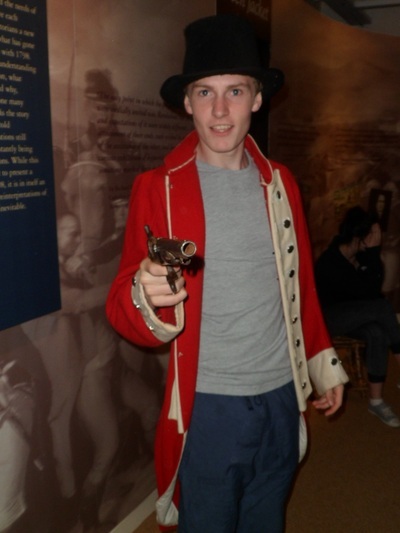 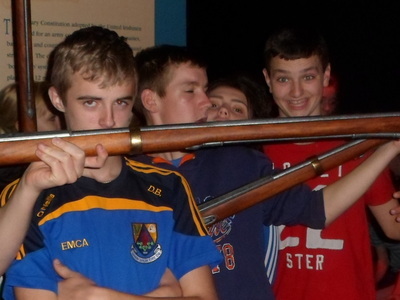 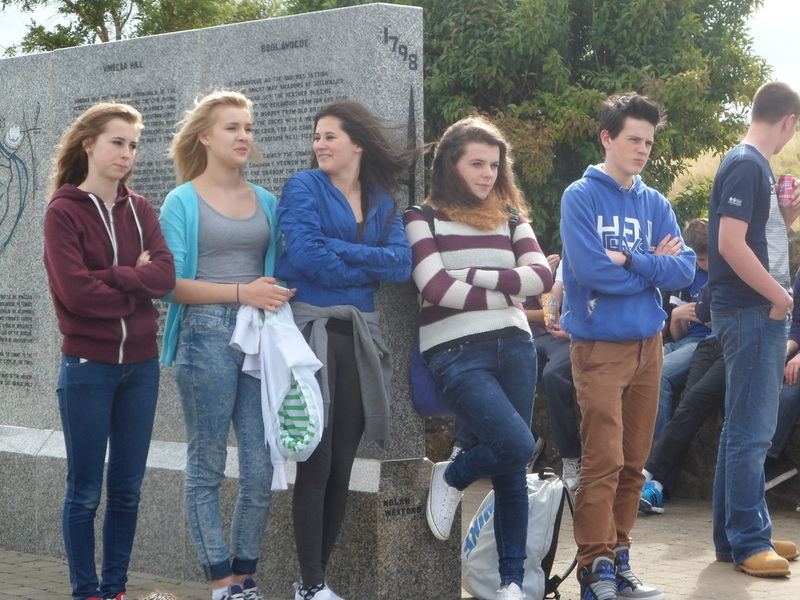 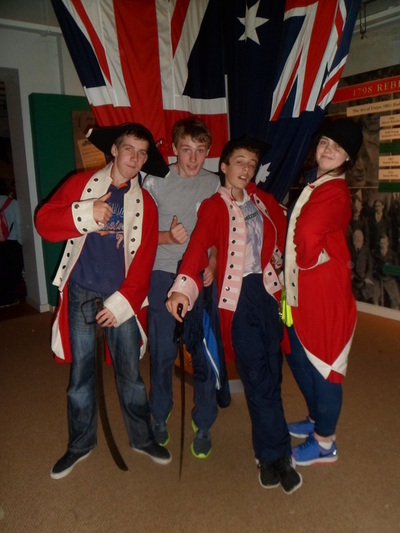 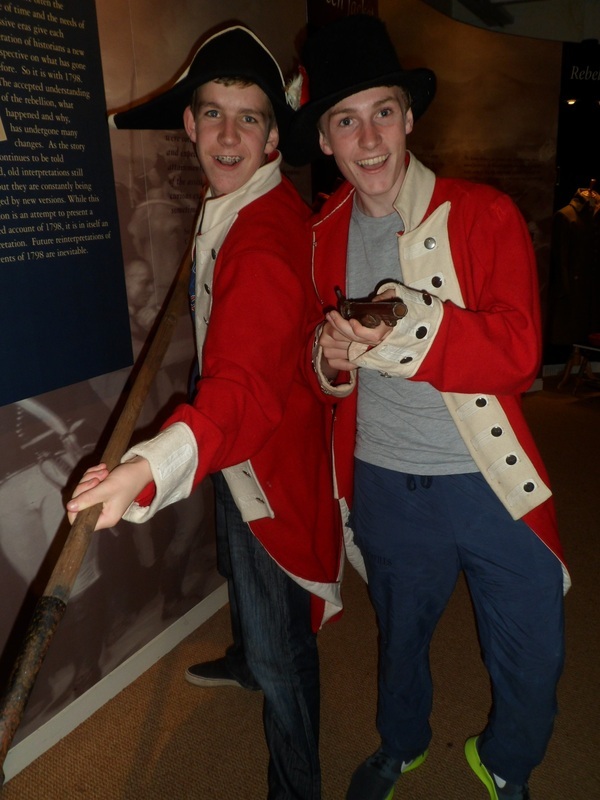 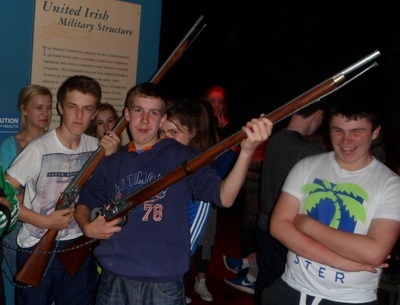 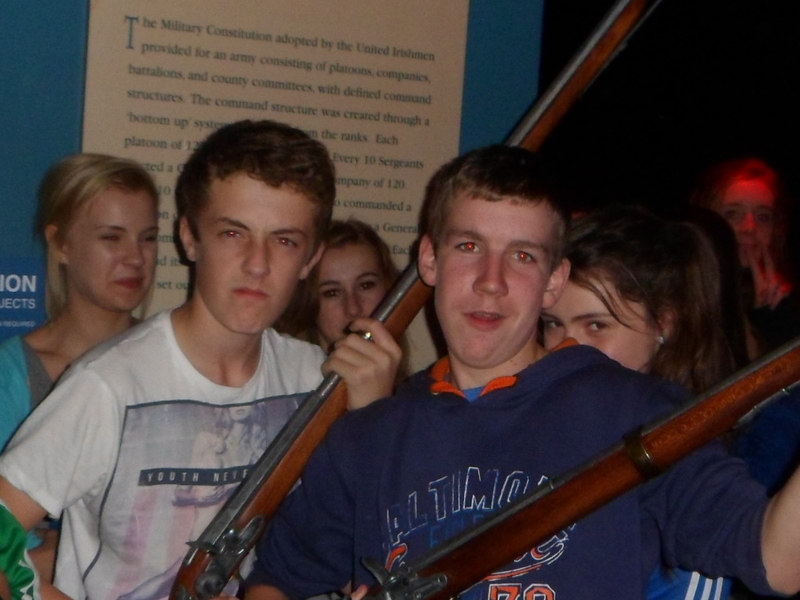 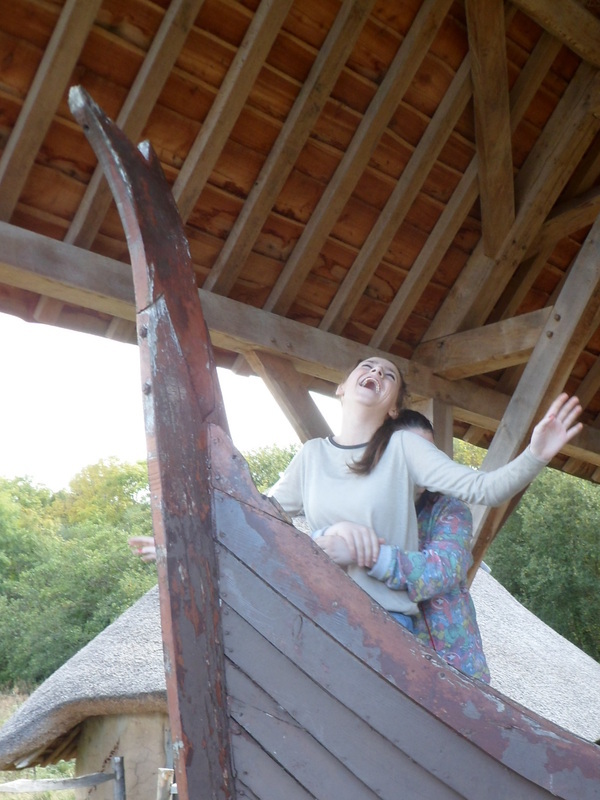 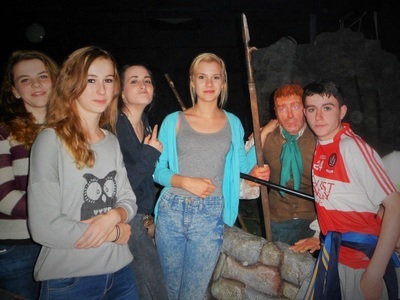 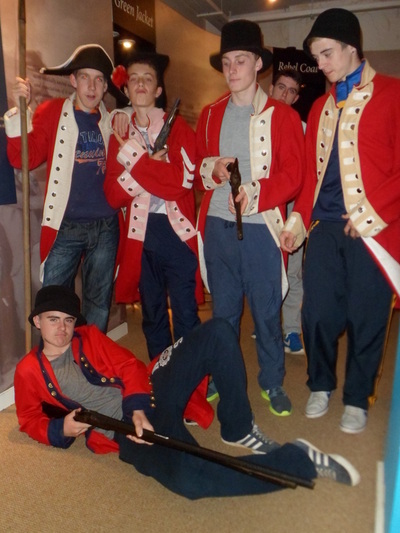 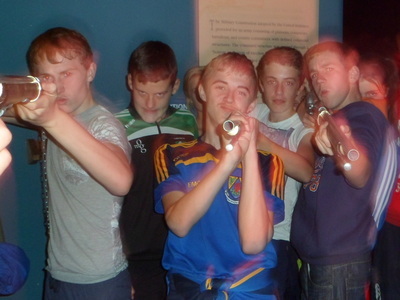 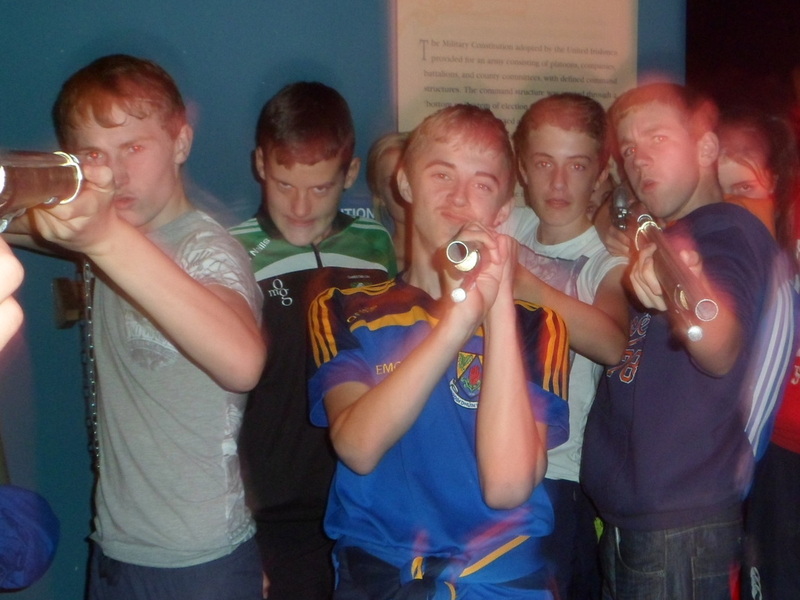 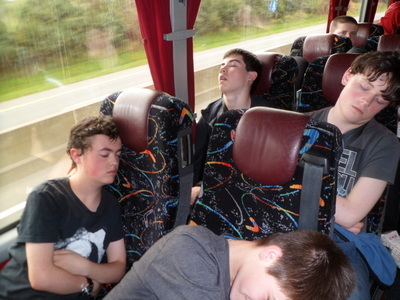 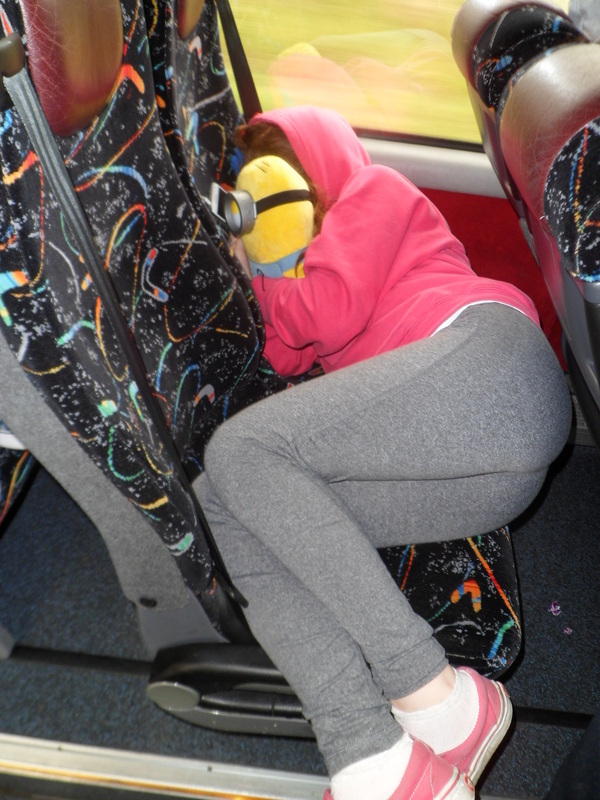 We, as a group of 3rd years, were taken on the annual history trip to Wexford. 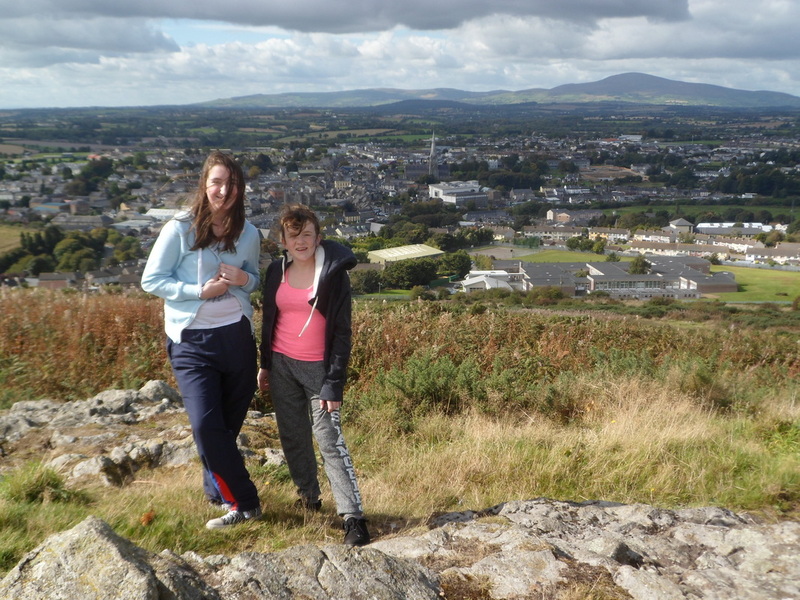 During our one-night stay there we visited 3 historic places; firstly, Vinegar Hill, which is located on the outskirts of Enniscorthy. 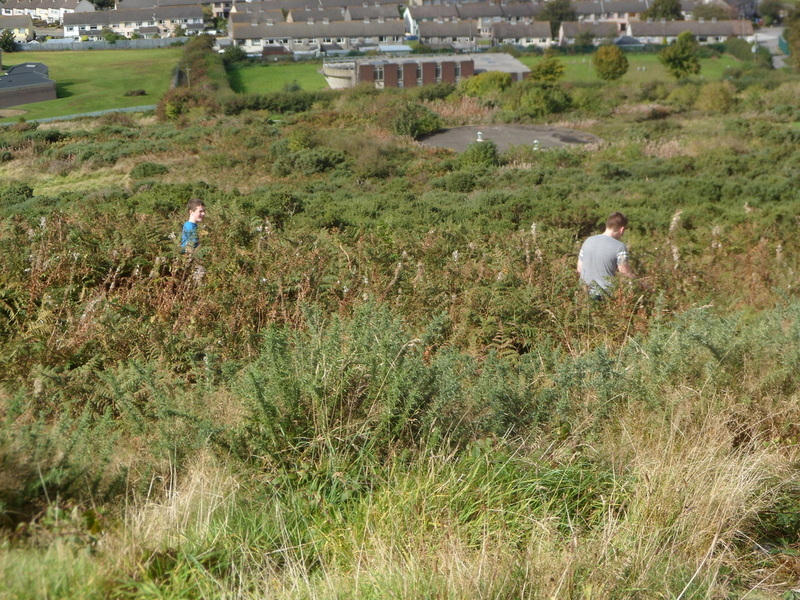 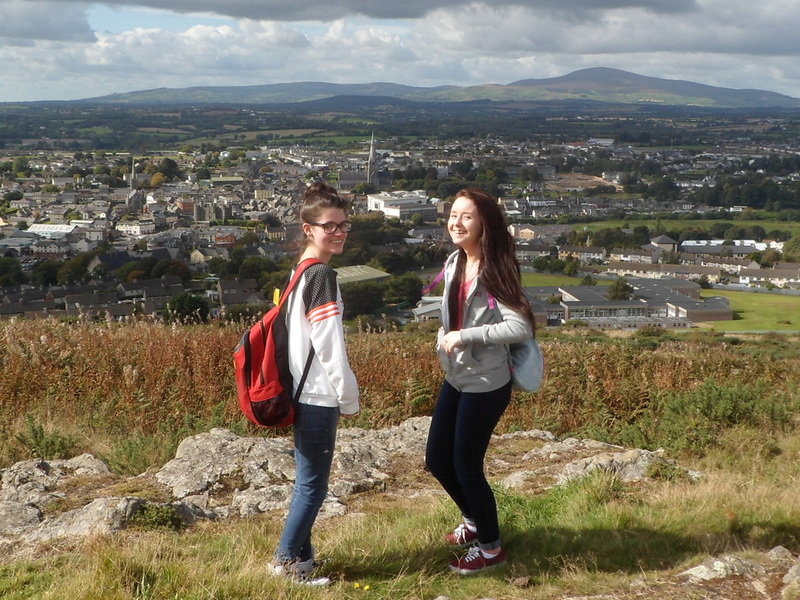 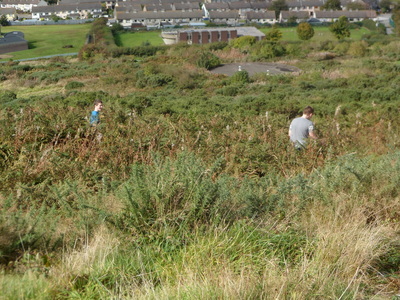 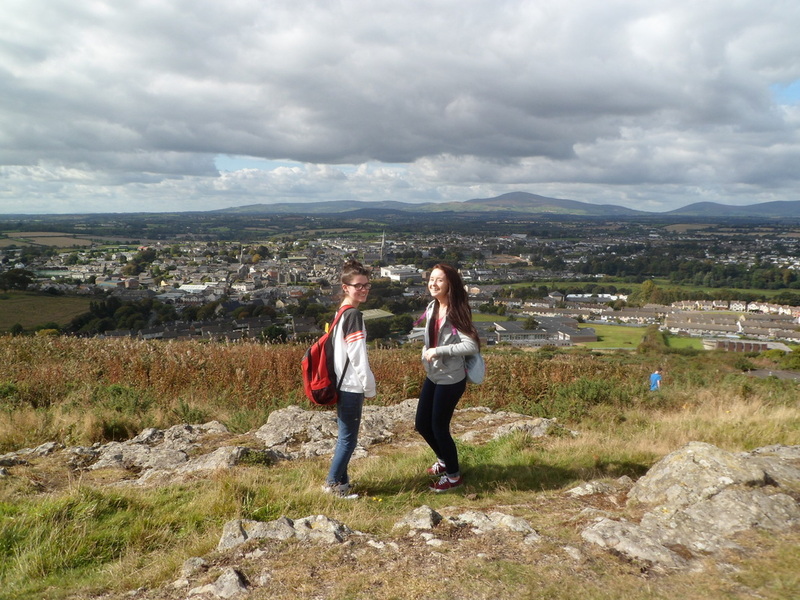 The site is up quite high and overlooks the town of Enniscorthy, a beautiful setting. The ruins of a castle remain at the top of the hill, which you can look into. 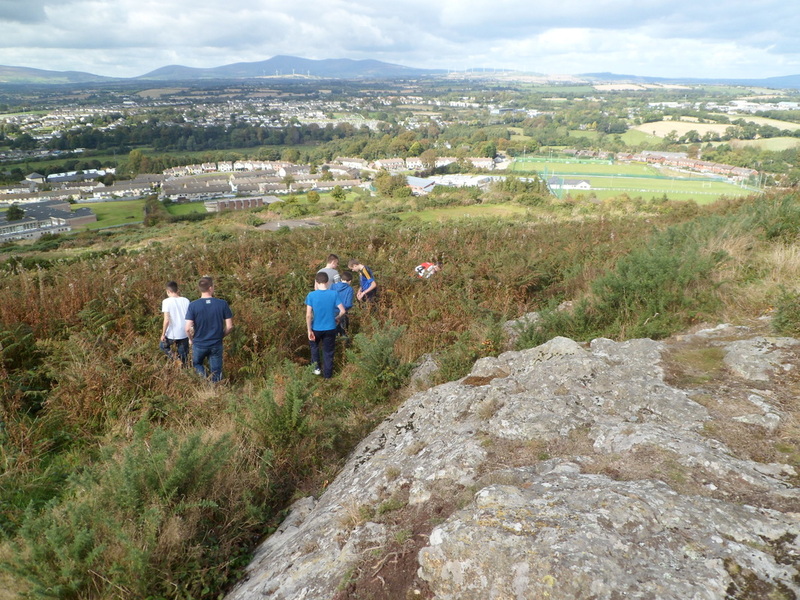 We were given a brief recap of what happened at this landmark, and then given time to explore the area, during which we found a busted sliotar and a dead rat. Exciting, clearly! 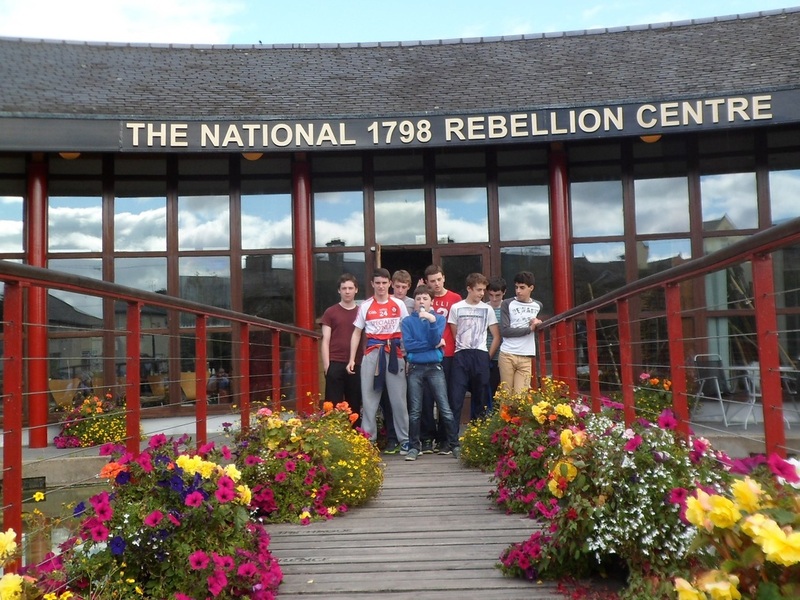 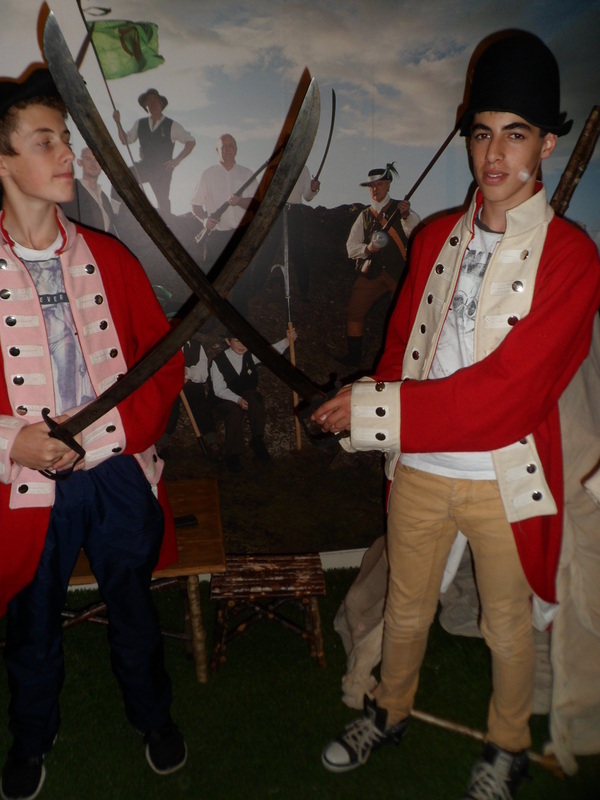 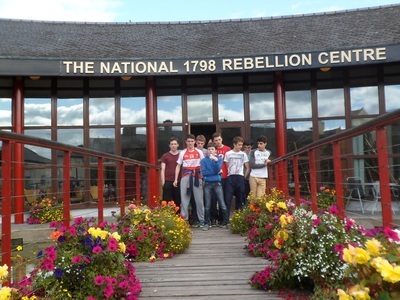 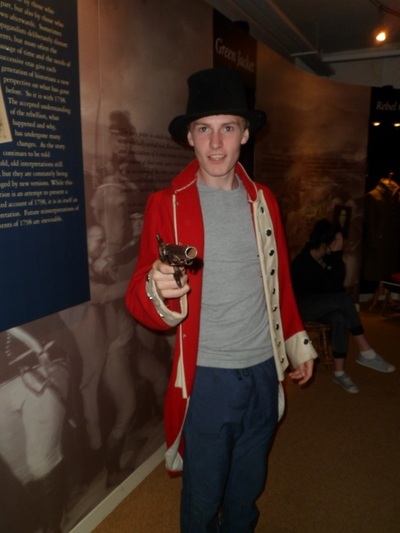 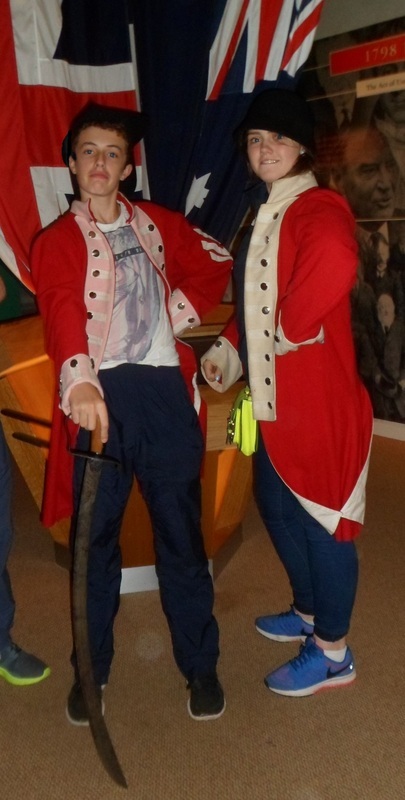 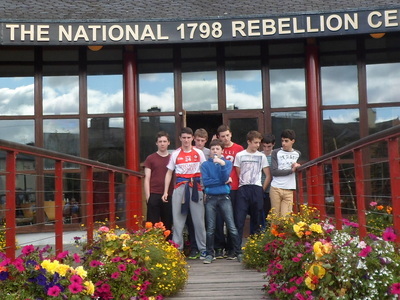 Our next stop was the National 1798 Rebellion Centre, where we were shown around by a tour guide. 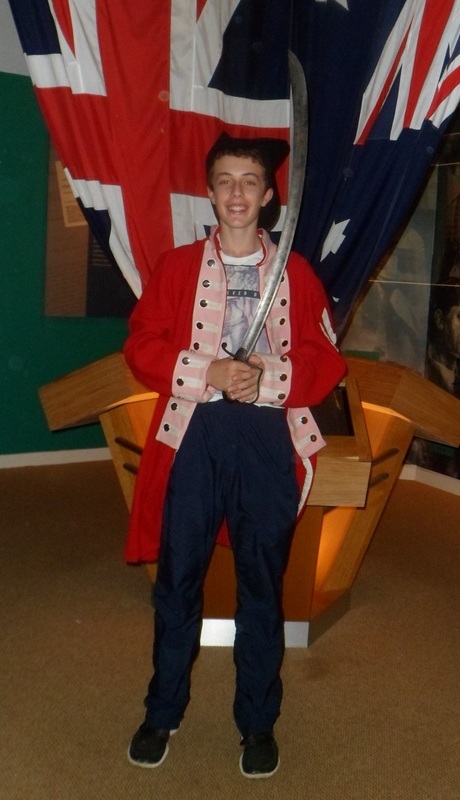 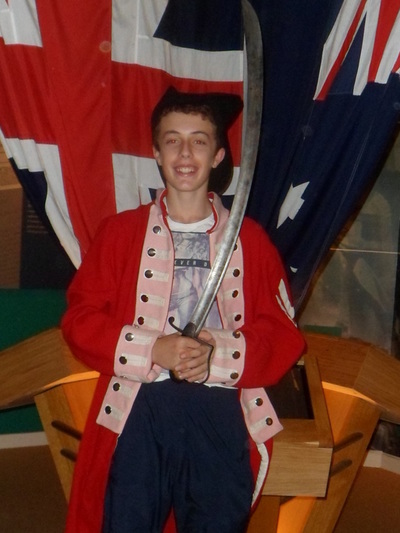 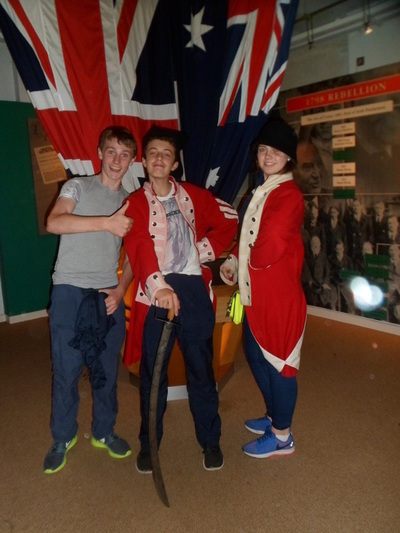 We saw video clips, pictures and replicas throughout the tour and were given the chance to try on recreations of costumes that would have been worn at the time. 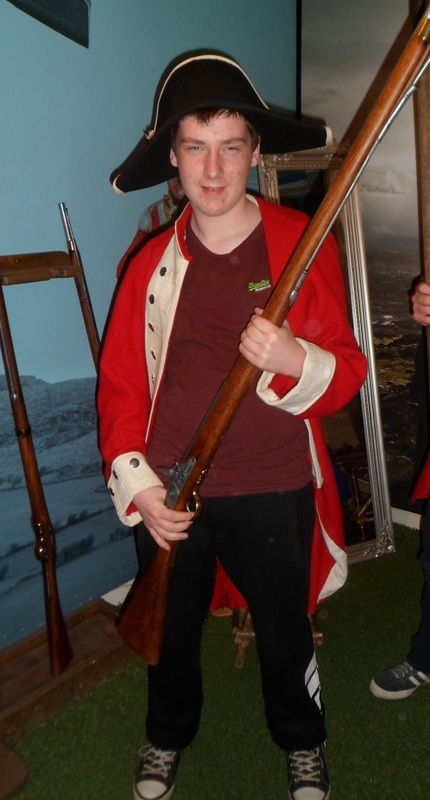 We also got to hold guns, cannonballs, swords and other weapons of the like, which are a lot heavier than they look, much to a lot of people’s surprise! 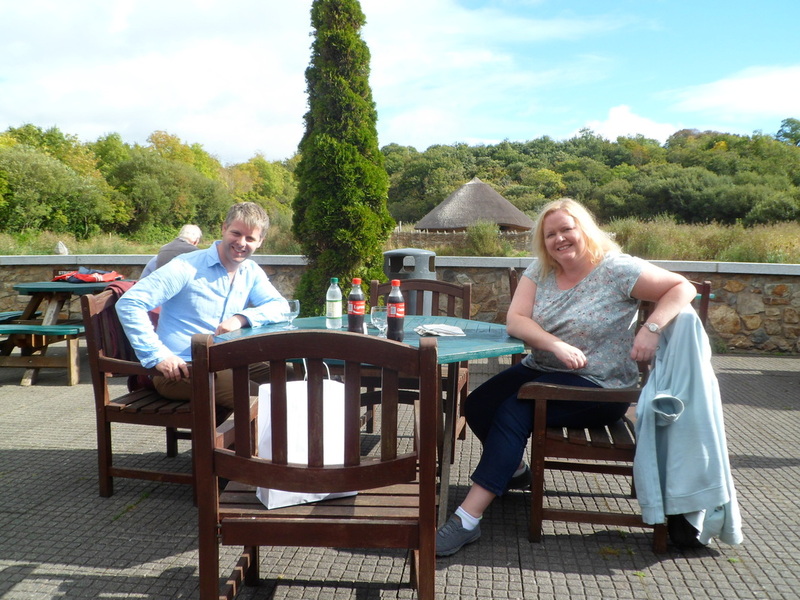 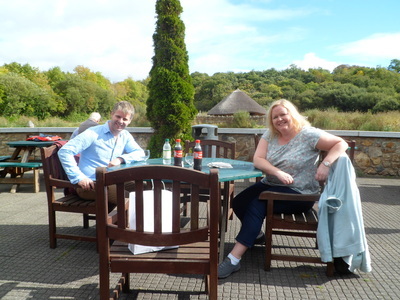 We were then given an hour and a half to explore Wexford town and go shopping. 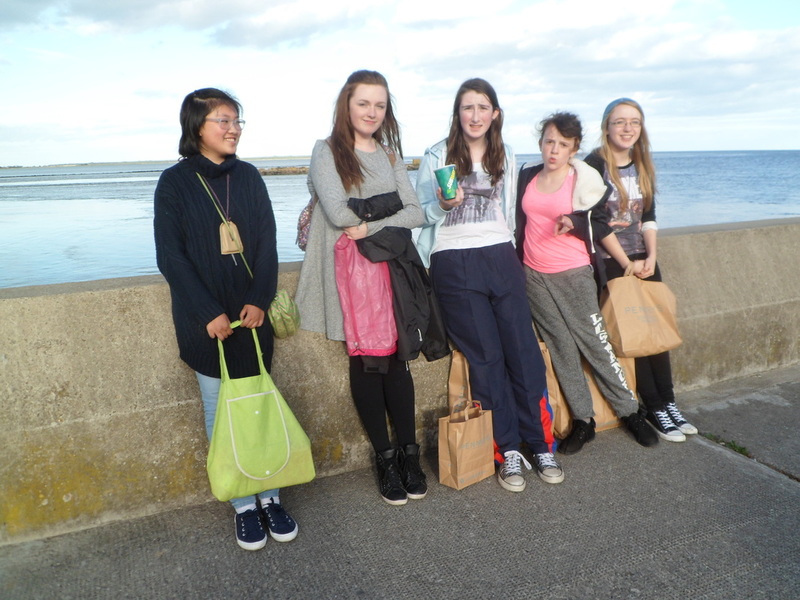 The scenery along the coast is absolutely stunning, and the town itself is beautiful with narrow, cobbled, pedestrianised streets. 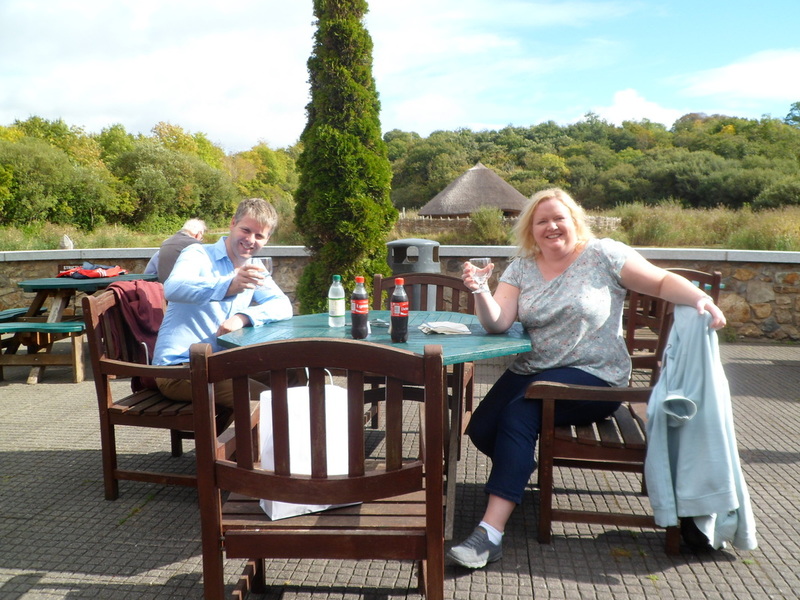 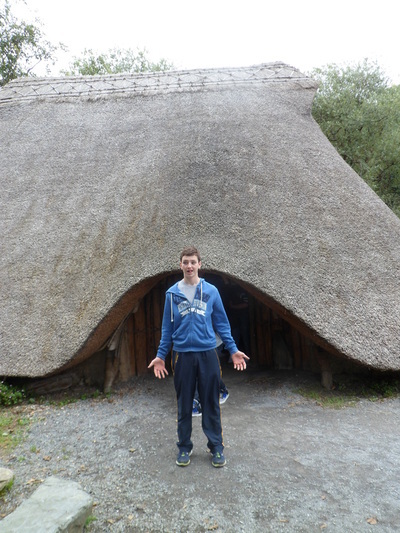 The next day, we were brought to the Irish National Heritage Park, containing thousands of years of history. 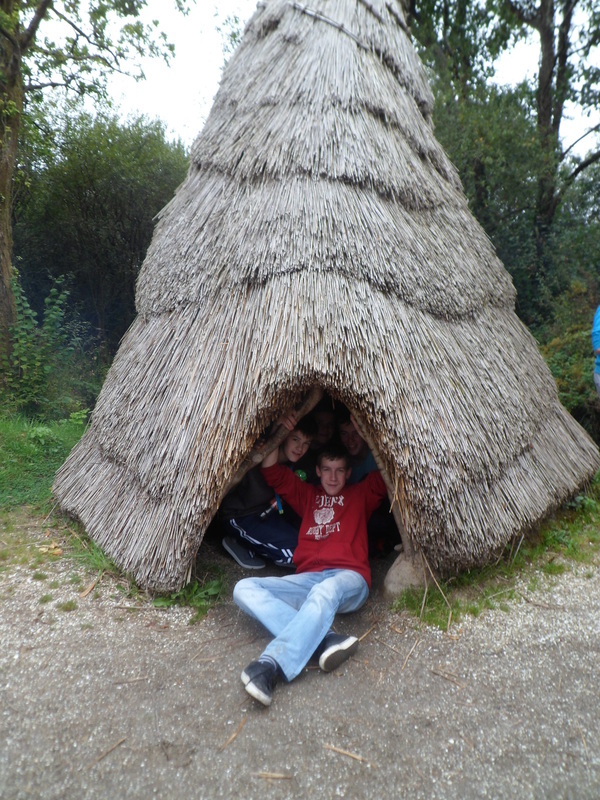 As we walked through the park, we saw many beautiful recreations of houses and dwellings used thousands of years ago. 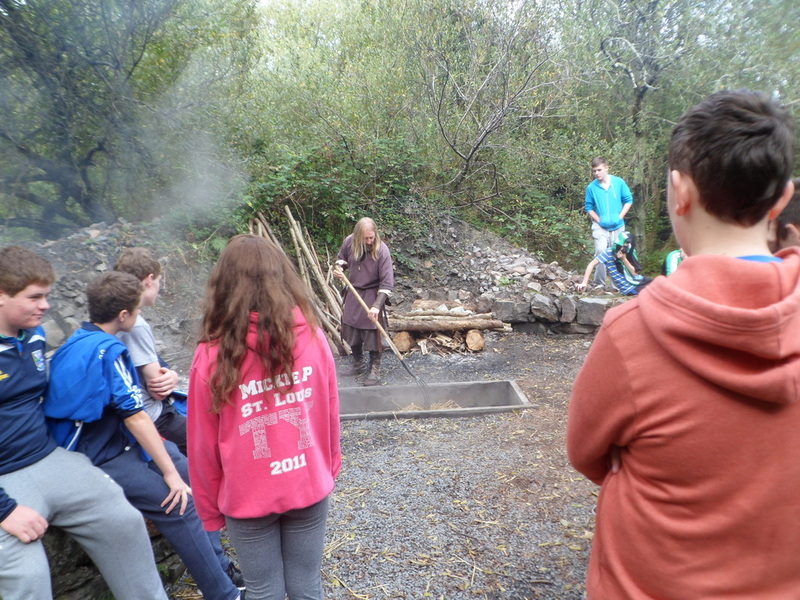 Many make-shift camp fires were lit around the place and the smoke could be seen and smelled from quite a distance. 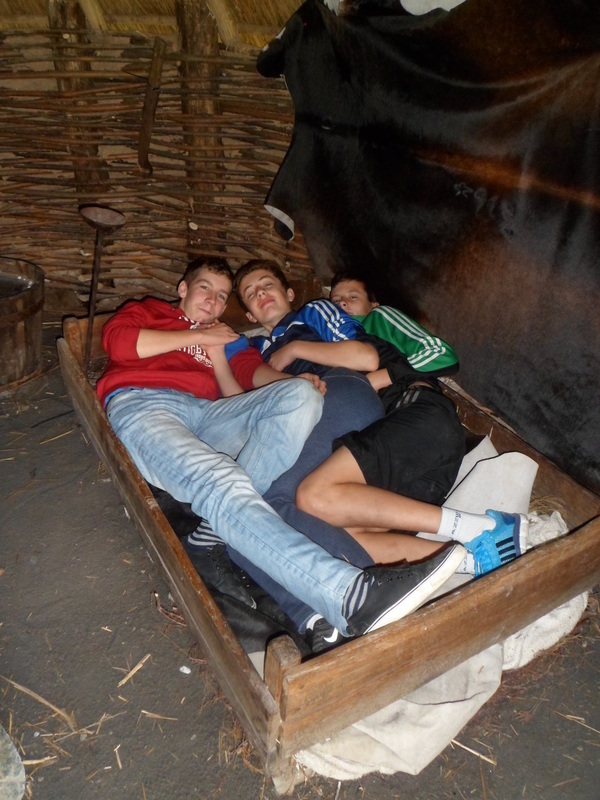 We were then given the opportunity to taste food cooked in a Fulucht Fia, which was boiled bacon in this instance. 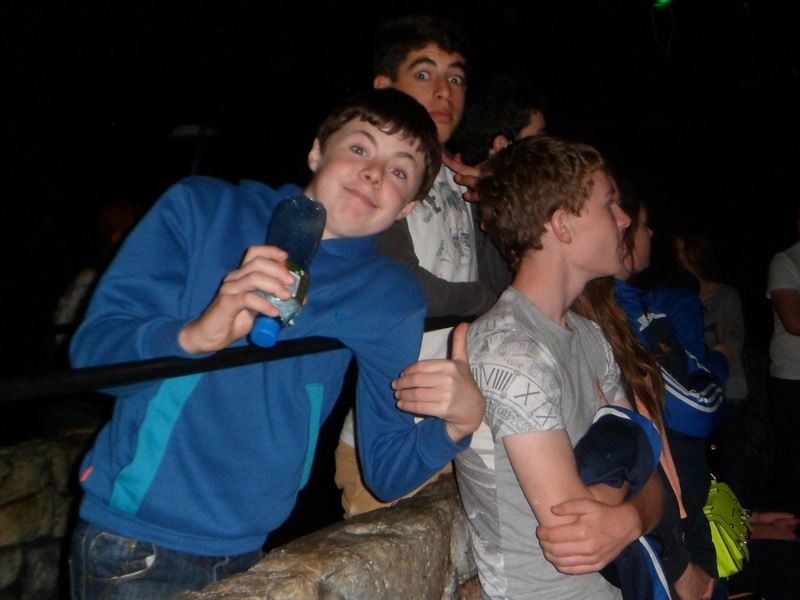 Many raved about it, but to be quite honest, I thought it left a foul aftertaste! The tour throughout the park was very interesting and enjoyed by everyone. 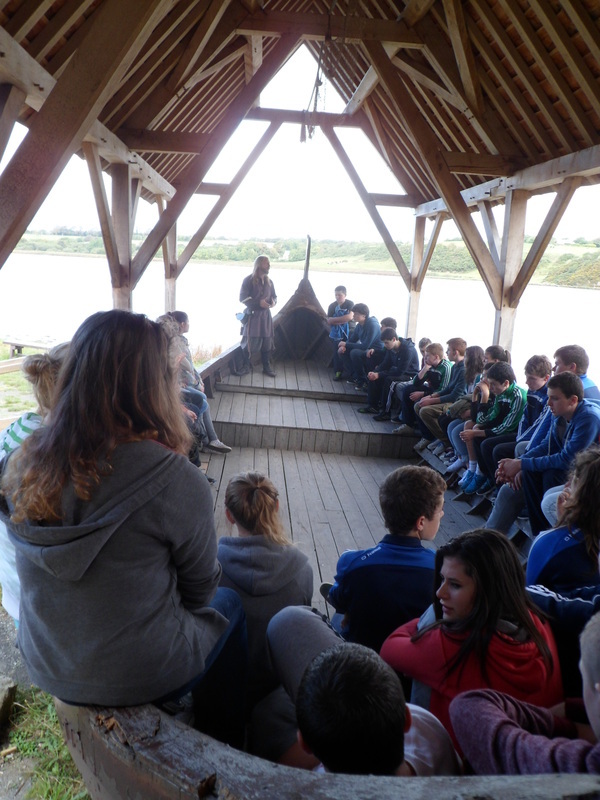 This was, however, our last stop before setting off home. All in all, the trip was a great success and was thoroughly enjoyed by everyone who took part.